Over the past decade or so, selling music has become increasingly difficult with piracy rampant across the web and audiences less and less willing to give up their hard-earned money for something they can likely find for free. Now, even sales of digital tracks and albums are shrinking. Streaming – and its notoriously low payouts for most artists – is on the rise, along with other, newer revenue-stunting methods of obtaining music. For a while, it seemed like every musician was in danger of being robbed blind by a troubling new threat – the practice of reselling “used” digital music. But perhaps there's a bright spot in this story: ReDigi, the company that was poised to pioneer this untapped market, has run into some trouble keeping operations afloat. Founded in 2011 by two seasoned tech entrepreneurs, ReDigi began with the idea of creating the only online used music store. Think of it like your local record store's (if you still have one) used CD box. People sell their unwanted discs and records, and others get them for cheaper than new copies. It’s not a fresh idea in any industry (books, consignment stores for clothes, used car lots, etc. ), but one that hadn’t quite made it to the online music world. Well, it’s looking like no. Not long after the company went into business, Capitol Records sued over copyright infringement. While a person can actually hand over a physical CD and no longer own it, the same can’t be claimed for digital songs. ReDigi’s software only allows it to accept music that was purchased legally on iTunes, but they can’t guarantee that said tracks aren’t still on a computer somewhere after being sold to a third party. 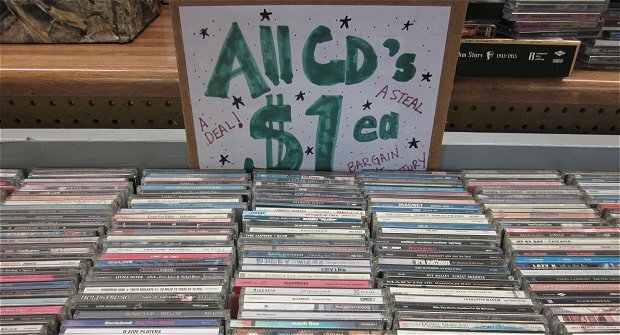 A similar case was brought about when people began selling their unwanted physical music many years ago. Labels saw how dangerous that could be to sales and wanted to end it immediately. Unfortunately for them – though fortunately for those who love diving for cheap records – the law protects sales of already-owned property, a statute ReDigi was banking on as well. It has yet to be seen if the company itself will end up paying damages, as, technically, it doesn't sell anything. Unlike online music stories such as iTunes or Amazon, ReDigi doesn’t have an inventory from which it sells. Instead, it facilitates sales between two parties, keeping its hands semi-clean, like eBay or Craigslist. After several rulings, it appears that the company is in some serious trouble – and the founders themselves may end up paying big for it. That seems fair, as any sale on the online platform doesn’t benefit the record company or the artist in any way. The argument could be made that for the ReDigi system to work, one copy had to be purchased at the beginning, but that can also mean that only one copy had to be purchased, technically. ReDigi might be over before it really got a chance to begin, but does that mean this new marketplace is already over? Perhaps not. As with all uncharted territory, there are always going to be those that fail and those that follow, learning from their predecessor’s mistakes. The iPod wasn’t the first MP3 player on the market, but it did what the rest were doing much better, and it’s the one we still know today. The same can be said for ReDigi – and that’s troubling. Just because the way the company managed its business probably won’t work now doesn’t mean the next startup won’t find a legal loophole, putting the digital used music industry back in business. As of now, the company still has its site up, and sales are still taking place. Currently, the only prominent artists on the site – probably against their wishes – are ones who don’t really need the money, like U2 and Adele. But, if the idea grows and the site is allowed to stay up, smaller and more underground acts will see their “used” music being sold for much less than it’s worth, with none of the money going to them. So, while things may look safe for now, this is a potential threat to incomes everywhere – individual and companies – that should be taken seriously.